Is the Rise of Populist Politics Putting Established Systems at Risk? Wondering what the rise of populist politics globally might mean for investors? 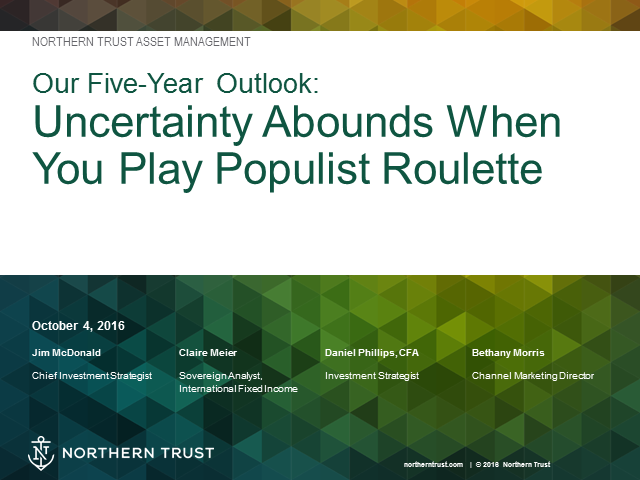 Join our top investment experts as they discuss key themes from our five-year capital market assumptions -- including Populist Roulette. Title: Is the Rise of Populist Politics Putting Established Systems at Risk?